Hazel Atlas Glass Company made this reamer with measuring cup. There are no chips or cracks in the glass. Thanks for looking. 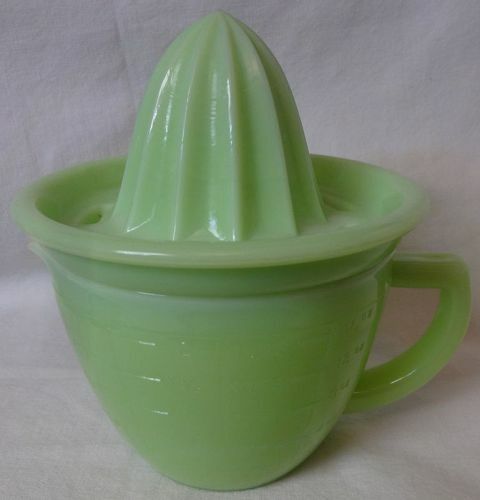 Hazel Atlas Glass Company made this reamer & measuring cup. There are no chips or cracks in the glass. Thanks for looking. 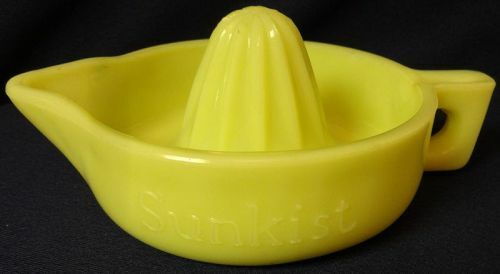 Hocking Glass Company made this vegetable freshener. There are no chips or cracks in the glass. Thanks for looking. 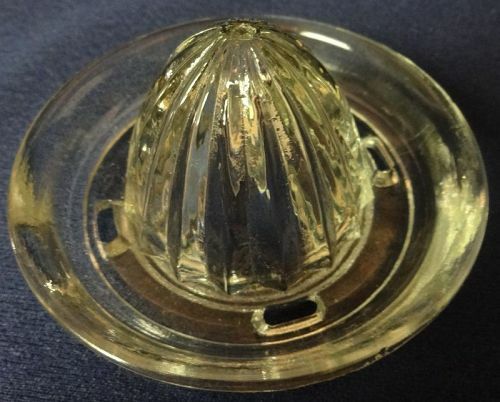 Westmoreland Glass Company made this reamer. There are no chips or cracks in the glass. Thanks for looking. Saben Glass Company made Cupid & Arrow. There are no chips or cracks in the glass. Thanks for looking. McKee Glass Co. made these Roman Arch pepper shakers. They are in great shape. Thanks for looking. Jeannette Glass Company made this set. There are no chips or cracks in the glass. Thanks for looking. 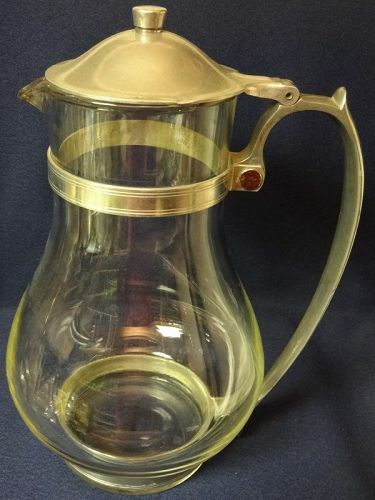 McKee Glass Company made this batter jug. There are no chips or cracks in the glass. Thanks for looking. Hazel Atlas Glass Company made this food mixer. There are no chips or cracks in the glass. Thanks for looking. 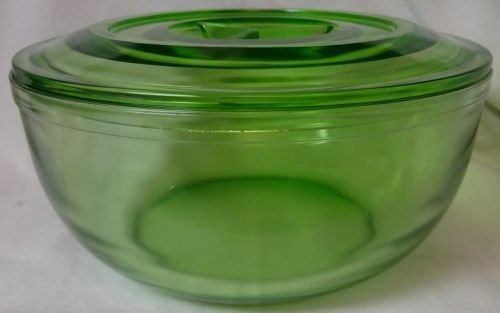 Fry Ovenglass Casserole & Lid Oval 1952-9 in Metal Holder 9.5" x 7"
Fry Glass Company made Fry Ovenglass. There are no chips or cracks in the glass. Thanks for looking. 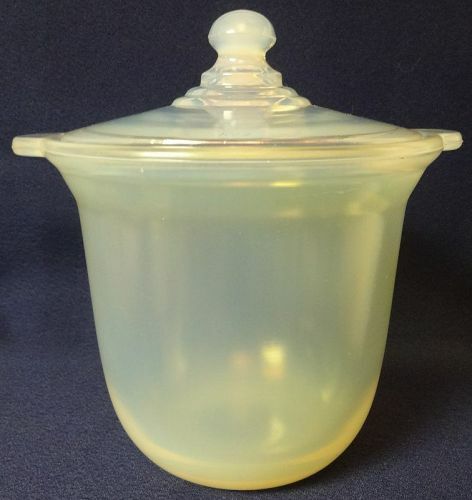 Jeannette Glass Company made this reamer. There are no chips or cracks in the glass. Thanks for looking. Hazel Atlas Glass Company made this stacking set. There are no chips or cracks in the glass. Thanks for looking. Hazel Atlas Glass Company made Poppy in 1952. There are no chips or cracks in the glass. Thanks for looking. 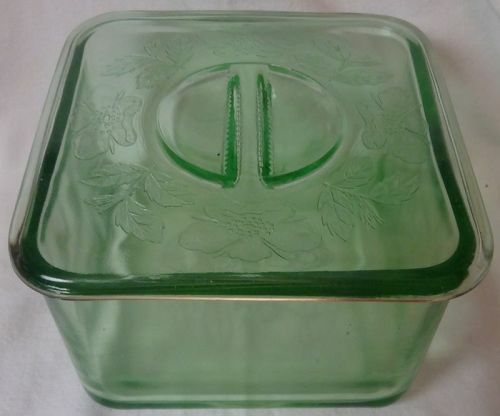 U S Glass Company made this refrigerator dish. There are no chips or cracks in the glass. Thanks for looking. There are no chips or cracks in the glass. Thanks for looking. 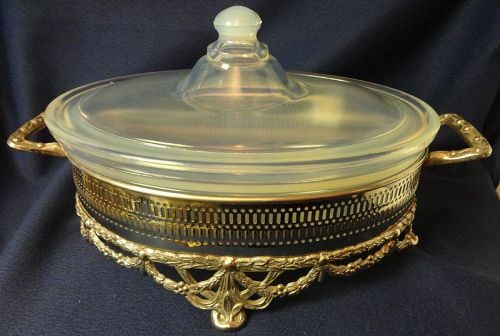 Jeannette Glass Company made this covered bowl. There are no chips or cracks in the glass. Thanks for looking. 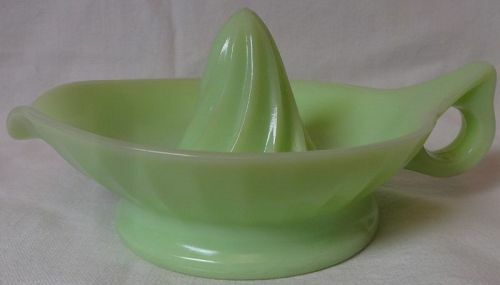 McKee Glass Company made this reamer. There are no chips or cracks in the glass. Thanks for looking.